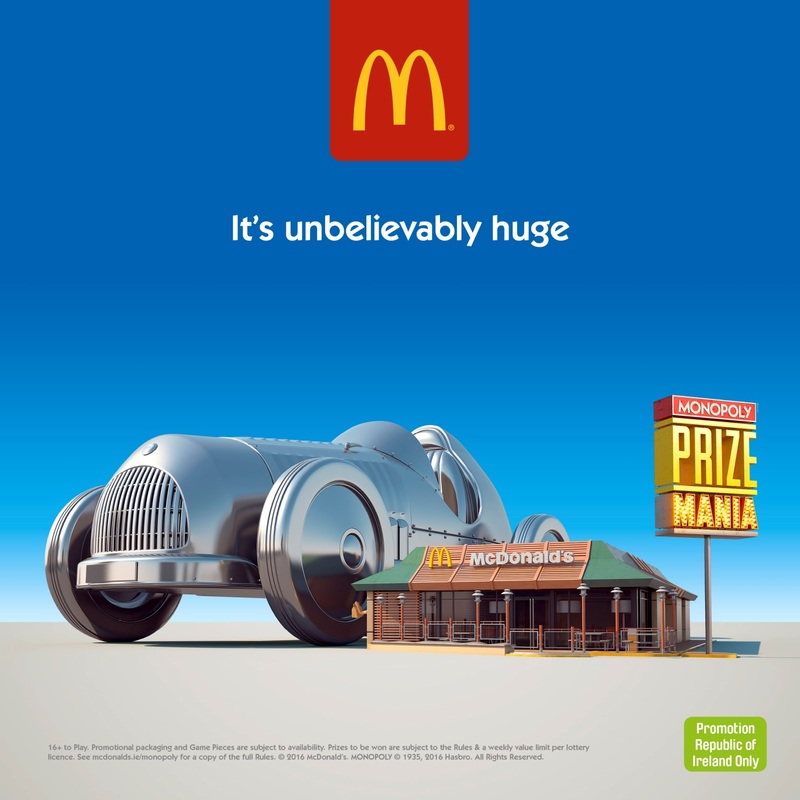 Play McDonald's Monopoly and you can #McWin a Maxol Car Wash! Maxol’s maxWash network as a partner to McDonald’s Monopoly campaign, is giving you an opportunity to win a free 'Starter Programme maxWash' valued at €6 or receive this as a discount off a higher programme. McDonald's Monopoly runs from 20th July until 30th August and is taking place in 93 participating restaurants, so don’t miss your chance to take part in this McDonald’s campaign. It’s unbelievably huge! Simply peel off the game piece sticker on each piece of packaging e.g. from the drink cup to reveal either a game piece or one of the instant prizes (with the €6 Starter Programme maxWash among them). Take your Sticker to a participating Maxol maxWash location (visit https://www.maxol.ie/car-wash for your nearest location) no later than 27th September 2016. All Stickers are automatically void after this date and will not be redeemable. When ordering at the counter, you must submit the Sticker to the Maxol cashier BEFORE placing your order. In all cases the Sticker will be retained by Maxol and you will be required to provide your name and address in order to claim your Car Wash Prize as a condition of receiving the prize. Look great in your shiny clean car!